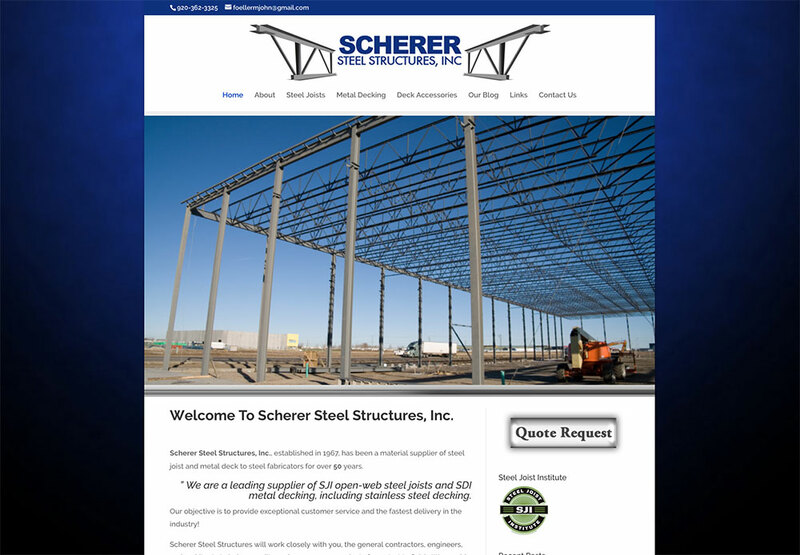 Scherer Steel Structures, Inc., established in 1967, has been a material supplier of steel joist and metal deck to steel fabricators for over 50 years. ” We are a leading supplier of SJI open-web steel joists and SDI metal decking, including stainless steel decking. Scherer Steel Structures objective is to provide exceptional customer service and the fastest delivery in the industry! Scherer Steel Structures will work closely with you, the general contractors, engineers, and architects to help expedite and manage your projects from start to finish. We provide in-house estimating and detailing services. Customers may email project drawings to Scherer Steel Structures for pricing. Shop drawings are produced electronically and issued as PDF documents for easy and efficient distribution. Scherer Steel Structures, Inc. has completed thousands of successful projects and has become a trusted source for SJI steel joist and SDI metal decking products.